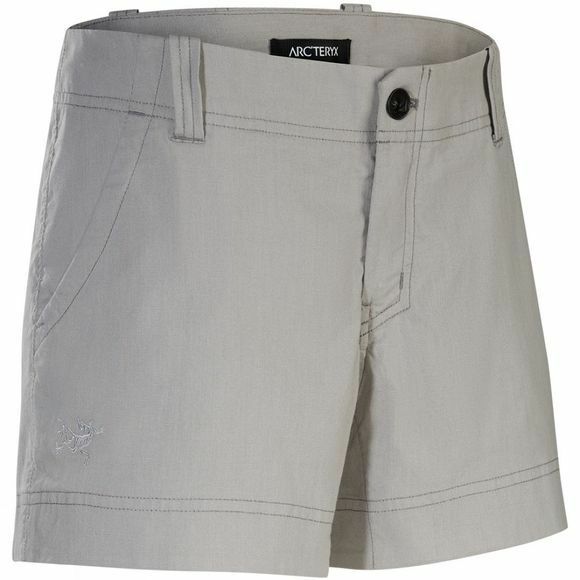 The Arcteryx Camden Chino Short is classic with clean lines and upgraded performance, it is designed for relaxed summer days, active travel and spontaneous adventure. The fabric, a midweight cotton/nylon stretch canvas, is comfortable, hardwearing and stretches for a clean, trim fit that moves with the body. Freedom of movement, an Arcteryx imperative, comes from the gusseted crotch and anatomical patterning.